This particular mask was chosen by one of our staff members after it was pointed out that we didn’t carry any good masks for problem skin. Jazmin told me to check out this product and how fantastic it sounded! I quickly agreed to add it to our next order, and it is now available at Thompson Alchemists. It is truly a fantastic product for problem skin. 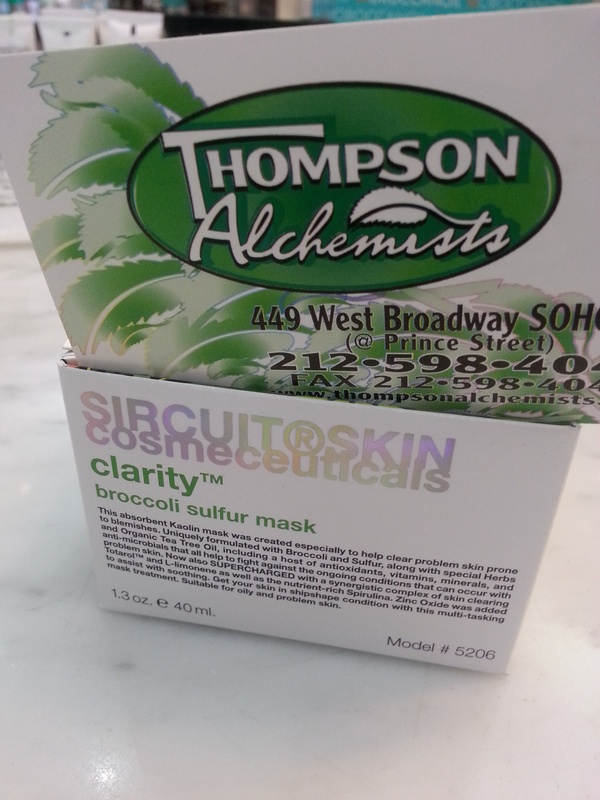 The mask helps clear blemishes by using broccoli, sulfur, organic tea tree oil and other herbs. It is filled with antioxidants, vitamins and minerals. The L-limonene, zinc oxide, and spirulina will make your problem skin a problem no more! Enjoy this is an amazing, reliable product that clears and soothes your skin.